Hannes Soomer (MPM WILSport Racedays) who held the 10th position for most of the race today in Aragon finished on the 17th position after a crash. Soomer started from the 10th position and said that the start was satisfactory. In the beginning of the race he grabbed P 9 for a second, but made a very risky pass together with Isaac Vinales and went off the track briefly, Kyle Smith passed Soomer and the Estonian was pushed into P 10 that he held for most of the race. „I was in the group that started from P 6. 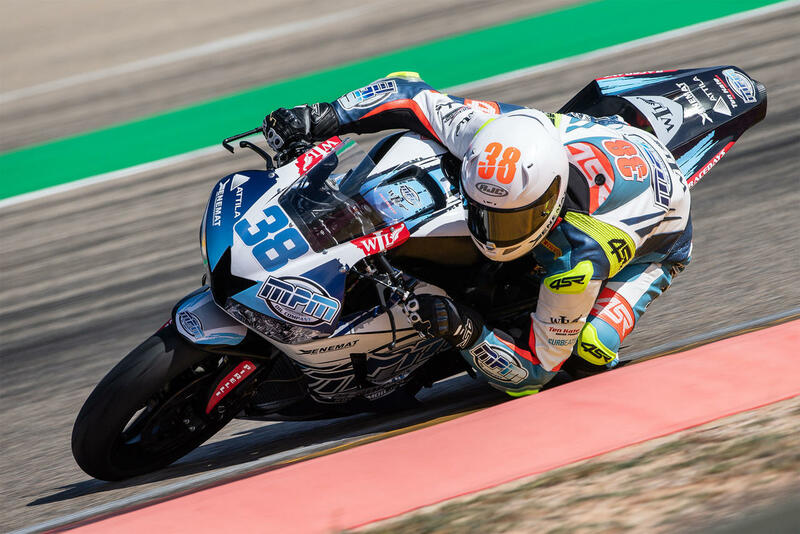 Most of the race ran according to the same scenario – I stayed in the group for the first three quarters of the track, but on the long straight I lost about 10 motorcycle lengths to them that I had to win back on the rest of the track,“ Soomer told. The sector times are a proof of his words – in both the second and the third sector he was in top 5, but in the fourth sector his time was 15th.